The TA-30 tabletop production tabber is the industry’s first heavy-duty, tabletop production tabber. 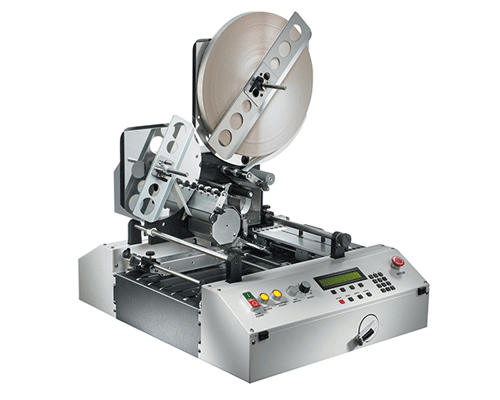 Perfect for the user looking for a versatile alternative to envelopes, the TA-30 is simple to setup and operate. With a streamlined programming interface, job setups could not be easier for the user. Just fire and forget. Combined with Neopost’s high-speed feeder and conveyor, the TA-30 produces maximum output for a total mailing solution. Perfect for all your heavy tabbing needs, the TA-30 is the new workhorse in your mailroom. Two labeling heads included - 2" and 4"
Handles media from 3" x 5" to as large as 13" x 17"